la petite chouette: We love new skirts. 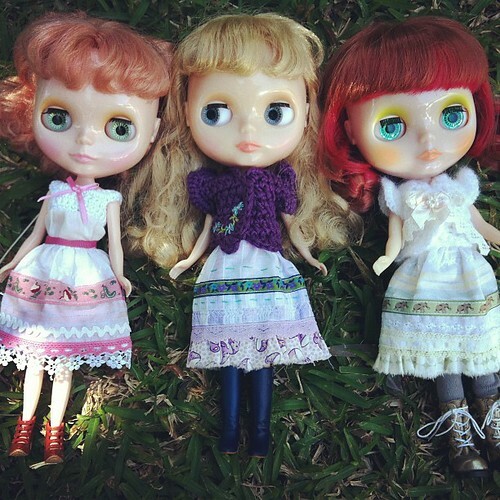 Just updated my shop with some cute Mori girl inspired skirts for your Blythe girls. Don't know what Mori girl style is well I will link you to some photos on my Pinterest pinboard so you can see what it is all about but will do another post to elaborate on it a little later. It is my latest fashion interest because it is just so cute!